At Conversion Support, you can either choose to show the live chat window on page or you can choose to show the live chat window as a pop-up window. 3. On the “Settings” page, click on “Chat Appearance”. 4. Click on “Chat Window Type” and then choose “pop-up chat window” from the drop down menu. 5. Once “pop-up chat window” is being chosen, your changes will be saved automatically and your visitors will start getting a pop-out chat window, when they initiate a live chat from your website. Please note that you can always change pop-up chat window to on page chat window from your Conversion Support account settings > chat appearance > chat window type. 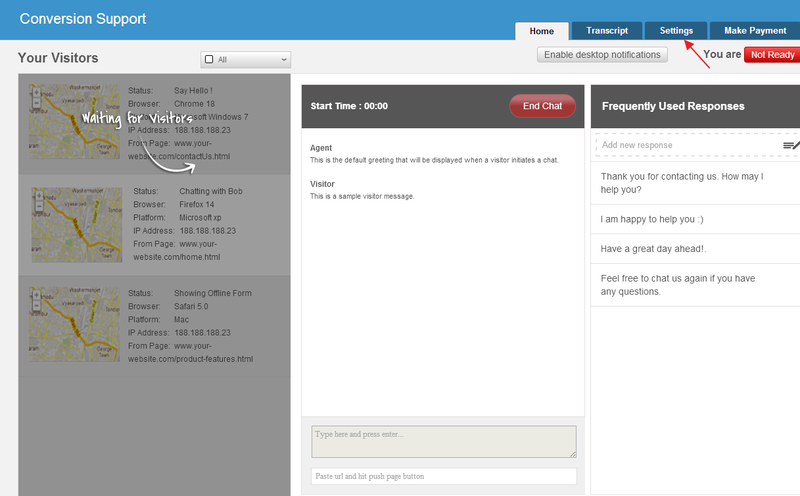 Having trouble configuring the live chat window on your website? Please contact us or write to us at support@conversionsupport.com and we will get back to you as soon as possible.